Early morning. Quite a few hangovers from the dinner and subsequent bar session that followed. Thankfully no one is sick. 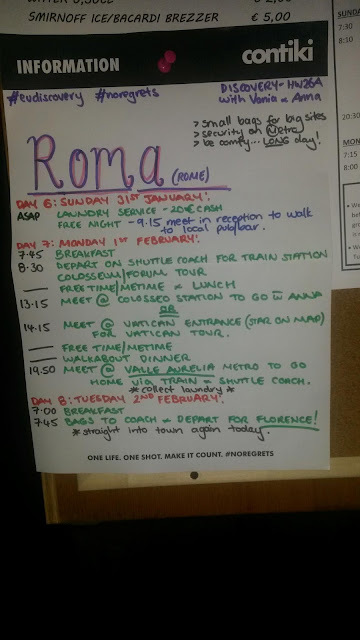 Trip to Rome is quite long. The countryside looks beautiful. We have taken a 50 minute rest stop. I had a delicious carbonara and San Pellegrino orange juice. Once we arrived in Rome we had a driving tour of the city centre. I saw the colosseum for the first time and it was awesome! It's incredible to think that this was built over 2000 years ago when Rome was a pagan civilisation. 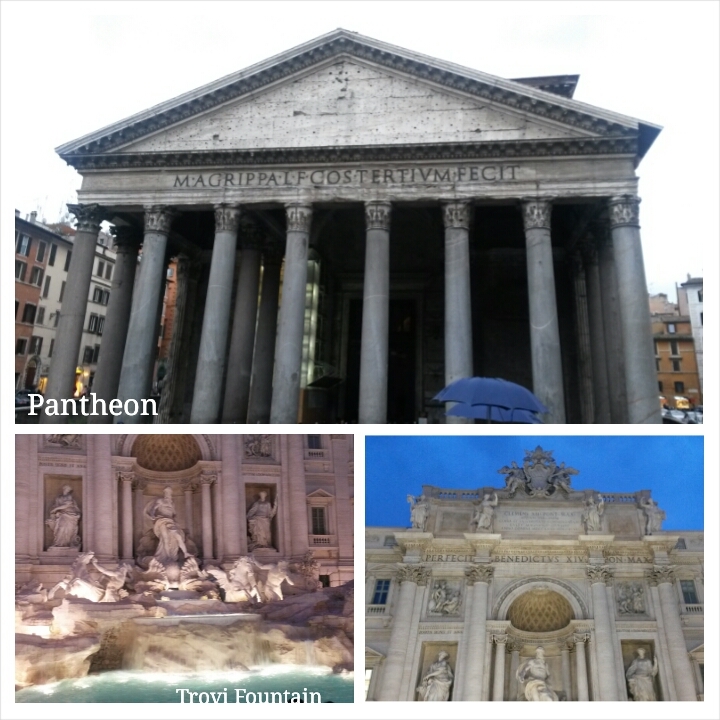 After this we did a walking tour of the Pantheon. Inside there is a massive hole in the ceiling where the rain comes into the temple and drains through holes in the marble floor. 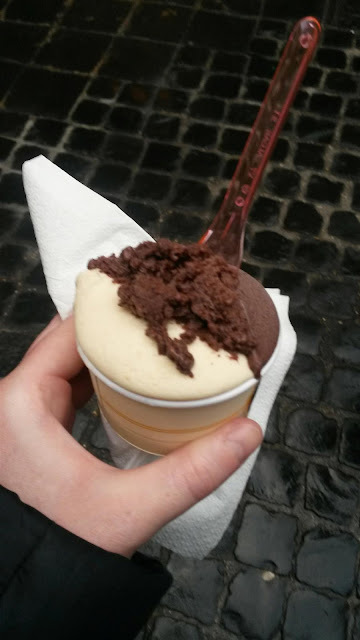 As a break Anna (our tour manager) took us to this amazing Gelato shop. We had to choose two flavours so I chose rum for one and hazelnut for the other. After that we went to the Trevi Fountain. It is so beautiful! The statues are so detailed and pristine. The water is a beautiful turquoise. 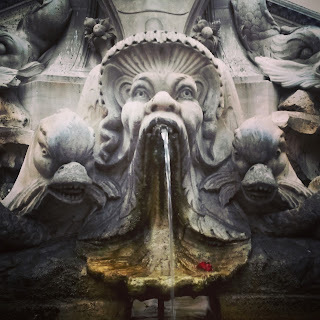 I threw coins in; traditionally you turn your back to the fountain and throw one coin in for your safe return to Rome and another coin in for a wish. It's debatable whether you should throw a third coin in. 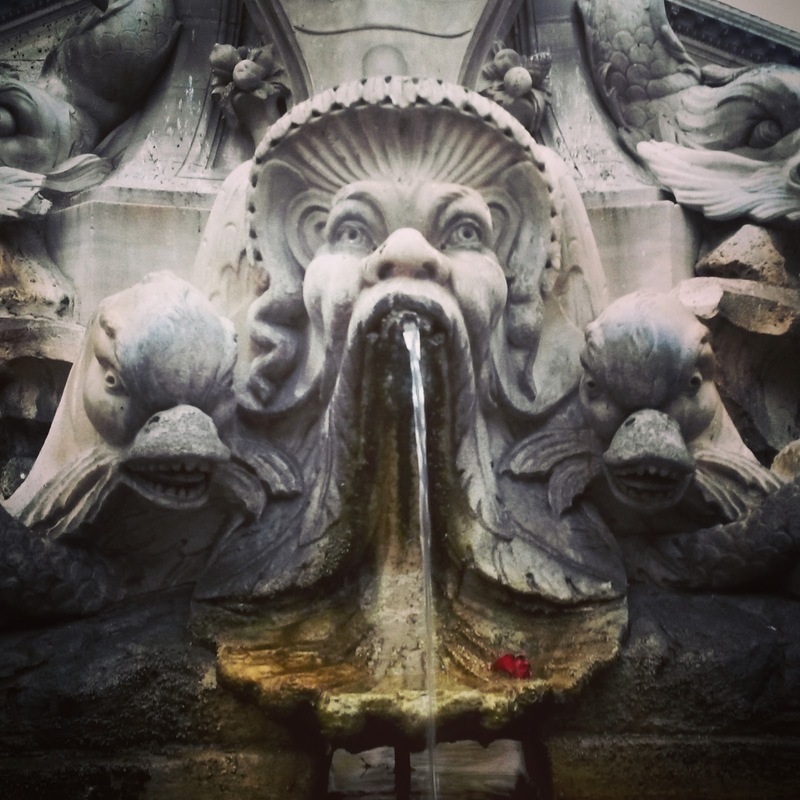 Every few days the fountain is cleared (because of thieves) and donated to charity. We went for dinner at a place near the colosseum. It was salad, pizza and more pizza followed by panna cotta. We went to the hotel after which was located in the suburbs of Rome. It was nice but our room was so hot and humid. We then went down the road to Moe's Bar where everyone relaxed after a lond day with steins of beer and karaoke.